Wide Overhead Angle 1. Our first establishing shot either pans from overhead, or rack focuses down a line of kids waiting in line. The camera then locks or cuts to our overhead shot. Hero pushes forward GoGo squeeZ and crosses arms. MW Angle 3. Hero's GoGo squeeZ being pushed forward for editing purposes if needed. MW Angle 3. First offering being pushed forward by Kid #1. Chips in a bag. CU Angle 2. Hero's face, especially eyes, as he says "no"
Wide Overhead Angle 1. Kid #2 enters frame. MW Angle 3. Second offering. Twizzlers in a tin. Shoot cookies being added as well to sweeten the pie. CU Angle 2. Hero leans forward to look in. No again. Wide overhead Angle 1 for edit to breathe. CU Angle 2. Hero says "No" three times in succession, jump cuts. Play with options here: Rolling eyes, eyebrow raised, mocking laugh, bored with the offerings, etc. Wide Overhead. Angle 1. Previous kids part ways for a new trader to step up. CU Angle 4. Hero #2 confidently steps forward, slightly smirking. MW Angle 3. Another GoGo squeeZ flavor is pushed forward! CU Angle 2. 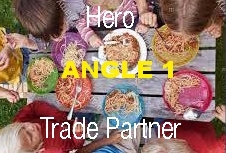 Hero #1 looks down, then up obviously excited by this trade, but then squints his eyes to try and keep his poker face. CU Angle 4. Hero #2 squints back. WIDE Overhead Angle 1. Both kids reach forward to grab the opposite pouches. 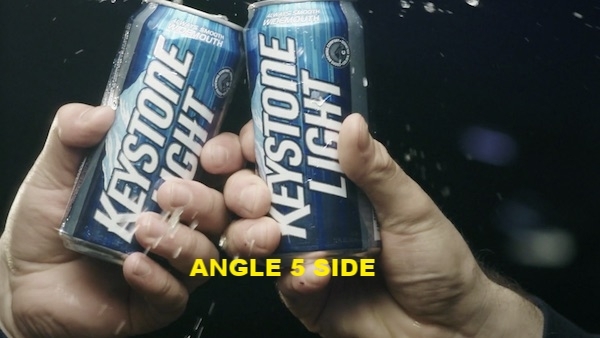 CU Angle 5. Kids "Cheer" their pouches. MW Angle 2. Hero #1 tips his head back and eats his pouch. MW Angle 4. Hero #2 tips her head back to eat as well. MW Angle 3. Empty pouches are put back on the table. Insert Headline/CTA. **As you can see, there are 24 shots here and that's without any reverse angle shots of the kid's faces who are offering the unhealthy trade snacks. we can shoot these shots time permitting.